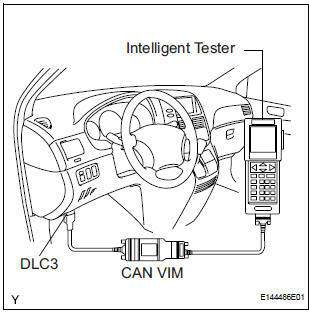 Connect the intelligent tester to the Controller Area Network Vehicle Interface Module (CAN VIM). Then connect the CAN VIM to the Data Link Connector 3 (DLC3). HINT: Refer to the intelligent tester operator's manual for further details. Operate the intelligent tester to erase the codes.